The elderly man said: "I went to the future and then back to the past. This all happened in the year 1981"
A number of people who have over time claimed to be time-travelers, but very few have proffered any "proof" to justify their claims. Now, an elderly gentleman has not only claimed to have traveled through time, but is also trying to substantiate his claim by showing a picture he says he took in 2118! Alexander Smith, who claims to have traveled from the year 1981, said he has seen the future. In an Apex Tv video, he is seen saying he was involved in a secretive CIA experiment and was putting his life at risk by exposing the truth. He said: "[The CIA] are looking for me and I am living in hiding". He went on to say: "I visited the year 2118 as part of a top-secret CIA mission. As to my knowledge, it was one of the first times that time travel had been successfully completed. I went to the future and then back to the past. This all happened in the year 1981." Explaining about his "journey", he said he also has proof of his travel. He is seen in the video sliding his hand into the pocket of his jacket and pulling out a picture that he said confirms his account. He took out the picture saying: "I do have something to show you today. This picture was taken in the year 2118. This picture was the city I walked in." He went on to say: "I'll never forget when I took that picture. It was right outside the city before I had walked into it." The blurry picture that he says is of 2118 appears to show a number of oddly-shaped tall green buildings. It looked like a spaciously spread out city – it was difficult to make out anything else from it because of its poor quality. He also explained the reason behind the bad quality of the picture. "There was only a minor amount of distortion on it that was caused by the time traveling process," he said. "I chose to wait until now to reveal that picture to you because I didn't know if the world was ready to see it. That was a picture from the future which I was able to take back," he added. "The Government confiscated the original photo, but before they took it from me, I did manage to make the copy I held before you." Apart from the picture, he also talked about how next-century people will have alien visitors, will learn a new language and climate change will get worse. Smith said: "Aliens do visit us; there are intelligent extraterrestrials that do come to earth. They visit first in the mid-21st century." Meanwhile, another man named Noah is hitting the headlines because he claims to be from 2030 and has surprisingly passed a lie-detector test. Noah has said Donald Trump will win a second term in the White House, a random person named Ilana Remikee will be the US President in 2030, humans will reach Mars in 2028 and time travel will be become a reality the same year. 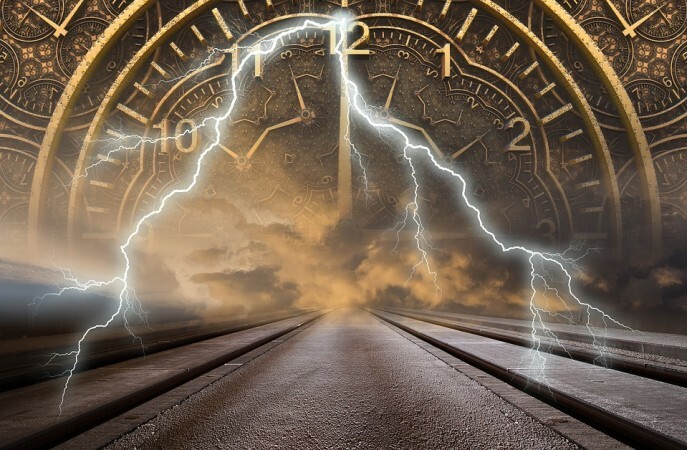 Physics and the laws of the universe have made a lot of experts believe that time travel is possible. Scientist Brian Greene is quite convinced with the idea. Greene, from Columbia University and co-founder of the World Science Festival, has said: "Albert Einstein showed that if you go out into space and travel near the speed of light, and you turn around, and you come back, your clock will be ticking off time more slowly." He added: "So, when you step off it's going to be the future on planet Earth. You will have time traveled into the future."